Have you always wanted to stay in unusual holiday cottages? Or do you simply fancy a holiday that is different from everyone else in unique cottages? If you find yourself nodding to these questions then read on to discover quirky places to stay in the Netherlands with your loved ones. From dragon eggs to unique cottages on tree tops and even unusual cottages shaped like an igloo. Our selection of unusual and quirky cottages is sure to give you the most unforgettable holidays and memories. 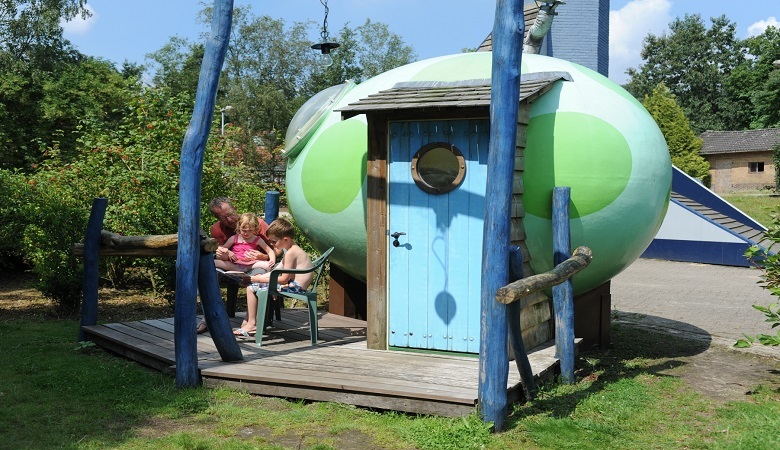 Spending the night in a dragon’s egg is perhaps every child’s dream, and Veluwecamping ’t Schinkel which is located in the Dutch province of Gelderland offers just that! The holiday park provides dragon egg designed accommodation in a special area known as the ‘Dragon’s Nest’. This unusual holiday cottage comes equipped with necessities such as a large bed, a bench, a drawer, and even a shower in one of the royal eggs. 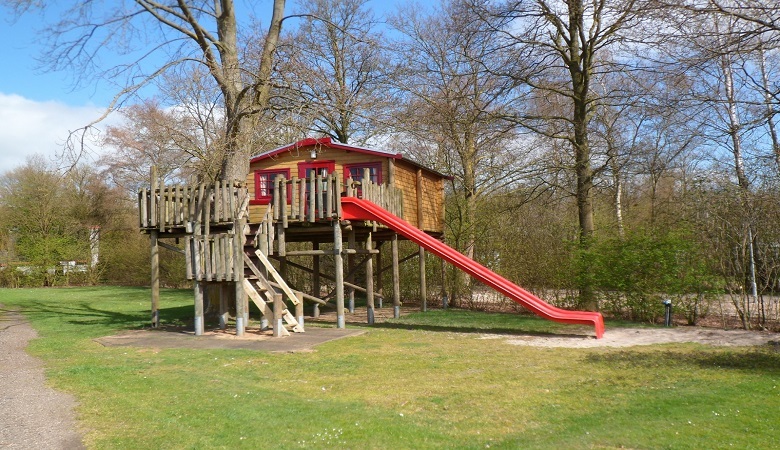 The holiday park also has other fantastic facilities such as an outdoor swimming pool and an adventure-filled playground that children will love. This theme park located in the Netherlands finds its place at number two on our list of quirky places to stay. At Slagharen holiday park you can take the chance to live like a real native American while you stay in their native American themed bungalow tent. The ‘Wigwam Deluxe’ comes fully equipped with a kitchen, shower, toilet, and even flat screen TV’s, providing you with a modern twist to the native American tent. 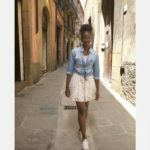 The best part about it all is that you can take full advantage of the theme park that has fantastic rides as well as a fun-filled waterpark. Theme and holiday park Slagharen is sure to give you the best of both worlds! 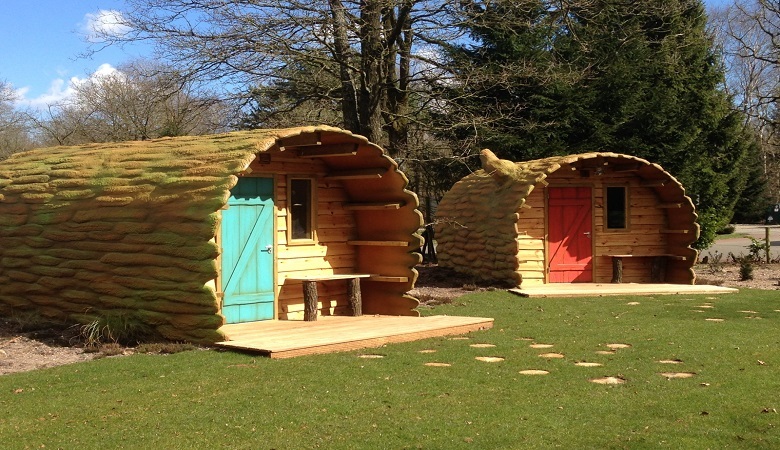 Holidaypark De Pampel offers unusual yet intriguing cottages that are designed to resemble a tree trunk. The quirky cottages are situated within the Veluwe which is a forest-rich area in the Dutch province of Gelderland, hence the nature inspired accommodation. You can also make use of the holiday park’s facilities such as the swimming pool or the bike rental service that you can use to explore the breathtaking surrounding area. Holidaypark De Pampel also ensures that children are always kept entertained with the animation team that organizes exciting activities like treasure hunts, crafts and much more! Holidaypark Dierenbos has a variety of unique cottages to choose from but the ‘Boomhut Koekoek’ will make for the most memorable holiday with your loved ones. The quirky accommodation is designed as a treehouse and has a built in slide that you can use to make your way back down. A feature that the kids will definitely obsess over. Besides this, the treehouse comes with a fully equipped kitchen as well as a living room and your own garden with a parasol. The treehouses are located in a quiet yet stunning wooded area and spending the night in these unique accommodations also grants you a free attraction pass to Safaripark Beekse Bergen. The entire family can marvel at the different species of wild animals including lions, elephants, giraffe, and much more. 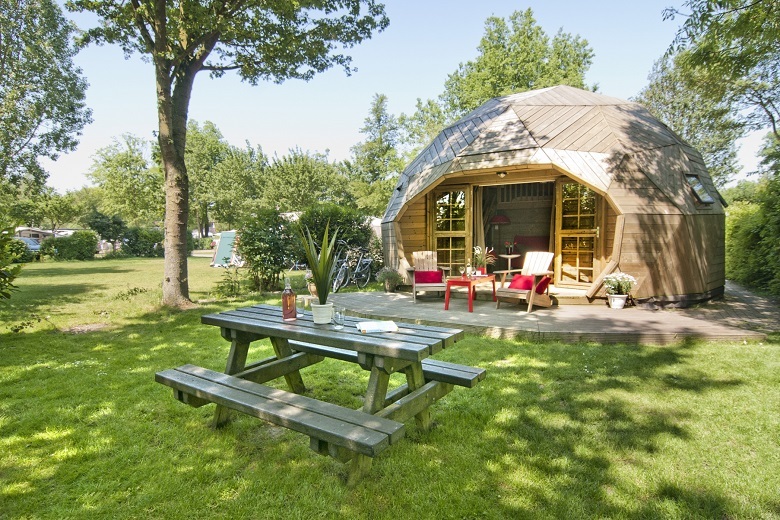 We saved the best for last as Holidaypark Delftse Hout offers stunning unusual cottages that are shaped like an igloo. The accommodation comes with two single beds as well as a small yet convenient kitchen where you can cater for yourself. You will also never have a dull moment at the holiday park as there is a wide variety of facilities to choose from including a swimming pool, a playground, and even a restaurant where you can ignite your taste buds with some appetizing food. Interested in more holiday cottages? If this list of unusual and quirky cottages caught your attention then browse through our list of holiday cottages located in the most stunning locations of Europe. Take advantage of the different deals and discounts only at HolidayparkSpecials.